Today I am here with Paneer Pakora. 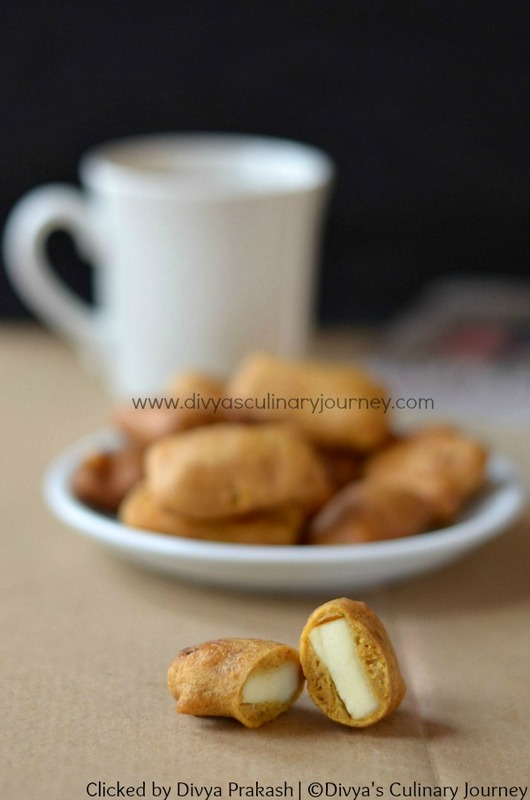 It is a easy snack made using paneer. Paneer slices are dipped in spicy batter and are deep fried and served as snack / appetizer. My family loves paneer and I prepare paneer dishes often at home. It will mostly be paneer butter masala or paneer pulav or sometimes paneer bhurji. I wanted to try a snack with paneer for a really long time and finally got time only today. 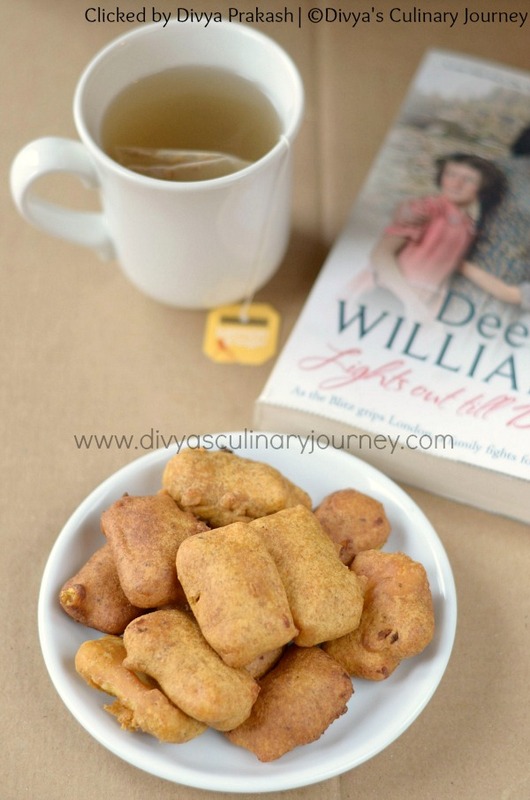 I made this Paneer Pakora and my family loved this. Crispy on the outside and soft paneer on the inside, who wouldn't love it? According to me it tastes best when served immediately after deep frying it. When it gets cold, the paneer in the inside makes the pakora slightly softer. You can serve this with ketchup or chutney of your choice. Paneer (Indian cottage cheese) slices are dipped in spicy batter and are deep fried and served as snacks / appetizer. Chat masala powder : To sprinkle before serving. Cut Paneer into slices as per the required size. Mix Besan, rice flour, baking soda, asafoetida, turmeric powder, coriander powder, chilli powder, garam masala powder, cumin powder, amchoor powder, carom seeds and salt with required water and prepare batter without any lumps. The batter should be neither thick nor thin. Heat oil. Then dip the paneer slices in the prepared batter and deep fry till it is golden. Remove from the oil and drain excess oil. Repeat the process for rest of the paneer slices. Sprinkle some chat masala and serve it warm. If paneer is stored in refrigerator, bring it to room temperature before deep frying it. Adjust chilli powder as per personal heat tolerance level. The batter should be neither too thick nor runny. It should be just the right consistency to coat the paneer slices on all sides evenly. The temperature of the oil while deep frying is also very important. It should be in medium heat. Love finding this type of recipe as it makes me look up some of the ingredients. This sounds wonderful! I've not tried paneer before, but think I need to now! I love all of your recipes! Thanks so much for sharing them. This sounds like such a yummy snack :) I've never tried anything like this before so I'd love to give this a go! Yum. I need to expand the Indian dishes I make. This looks really good. I love this and certainly looks delish! It's a must try! Little pillows of fried cheese. Can this get any better. I always learn something new every time I visit you. Thanks so much! This is a delicious recipe, I've never tried paneer but I'm definitely adding this to my must make list. Thanks for sharing your recipe. I to have never eaten paneer but it sure does look delicious as do all of your recipes! Thank you for sharing your treasured recipes with us! Perfect cheese fries! We make something similar in Greece called saganaki! Love finding new and interesting recipes online, thanks for the inspiration! Lovely Pics! They are making me hungry. I just want to snack one of these stuffed delights right off that plate! 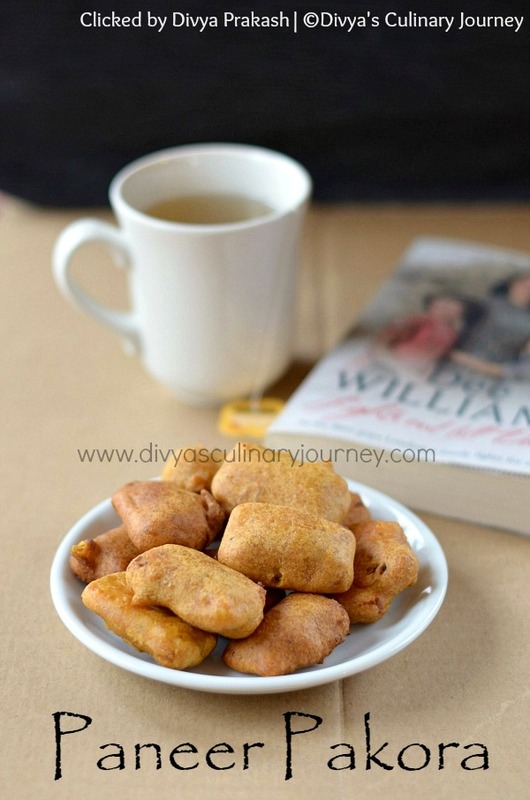 I have never had Paneer Pakora, however, those amazing photos surely make me want to try Paneer Pakora! tempting pakoras.. looks absolutely perfect.. yummy!